You asked for it...so we built it! 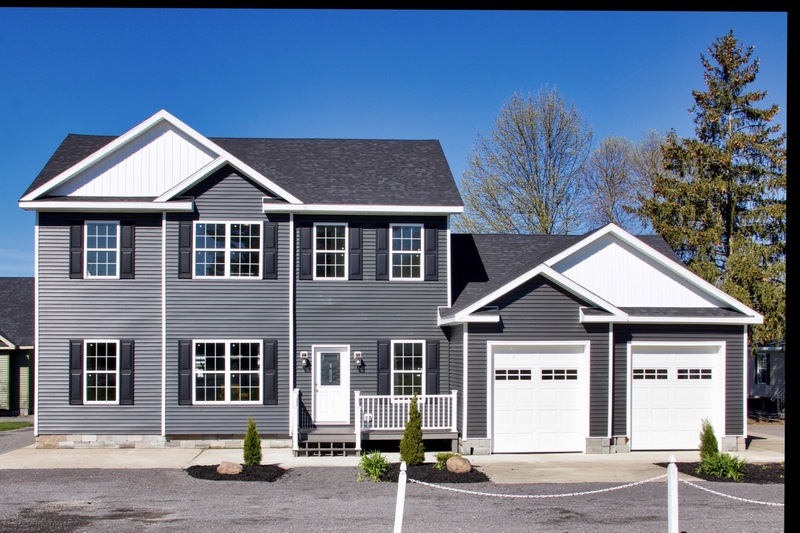 This two-story home has a garage, first-floor master, and 3 finished bedrooms upstairs. You can convert the open loft to a 4th bedroom which would make this a 5-bedroom house. We took the standard plan 31' x 36', relocated the master to the first floor, added a garage which changed the dimensions to 31'x 60'/ 66'. There is enough space for a large family throughout this entire house. The kitchen, great room, and dining room are specially designed for family living and gatherings. Pennwest builds a wonderful home with more "standard features" than ever before. We chose to display our model with options such as 9' ceilings, gas fireplace, tray ceiling with cross beams in the dining room and the feature ceiling in the master bedroom. To view Pennwest brochures please click on the link below. Simply Click on the "Product" tab and choose "Online Brochures" from the Drop Down Menu. You can also choose Exterior and Kitchen options and colors. Click on the "In-House Experience” tab to customize your dream house today.